“Unicorns may manage their elusiveness but they left behind some fanciful evidence of their existence and I was able to recreate their leavings. 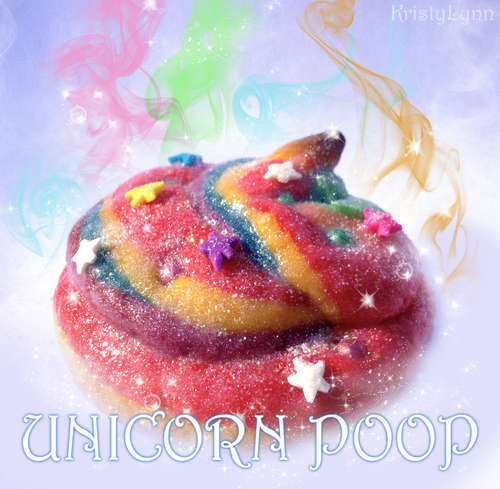 The poop, she says, is made of sugar cookies, rainbow dragees, rainbow star sprinkles, white sparkle gel, and rainbow disco dust. Kristylynn shows you how to make them over on instructables, of course, because that’s what the website is FOR. Now GO MAKE THEM FOR ME! Next Fake Facebook girlfriend for 50 cents a day!